When working on my office I decided to hang new curtains, but I ran into a little problem I wasn’t expecting; my curtain rod was too short. 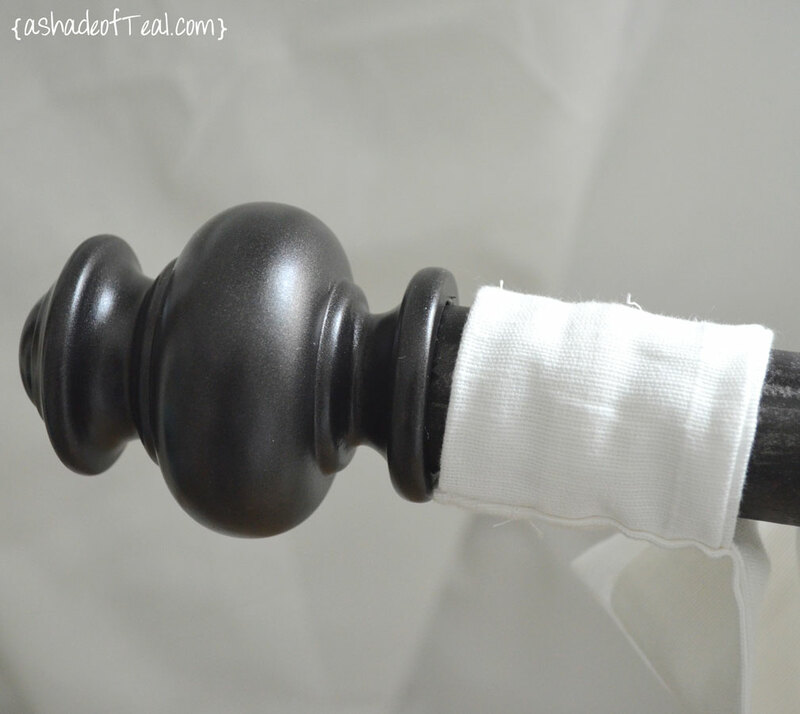 I was pretty frustrated since it was the same curtain rod I was using before. I think what made it become too short was my curtain choice. 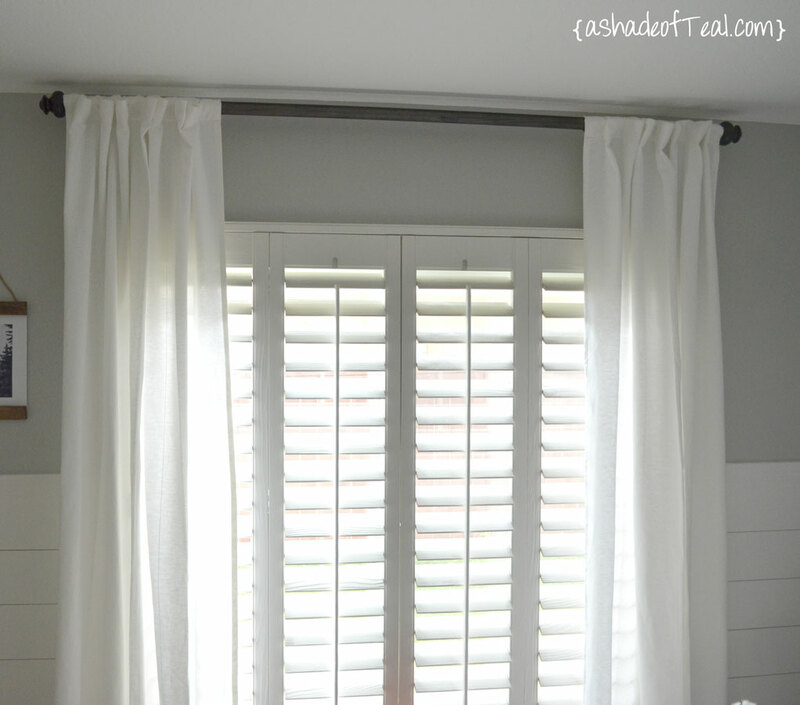 Both my old and new curtain were 55″ wide but my previous curtains were pretty thin and the new ones were much heavier. 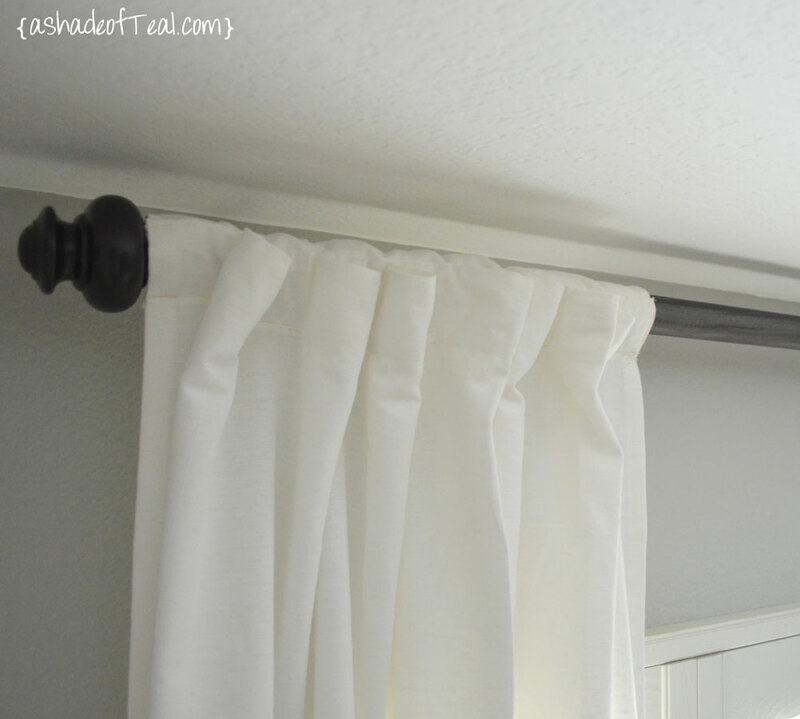 Anyways, rather than spending $35-40 on a new curtain rod I would try to make one. 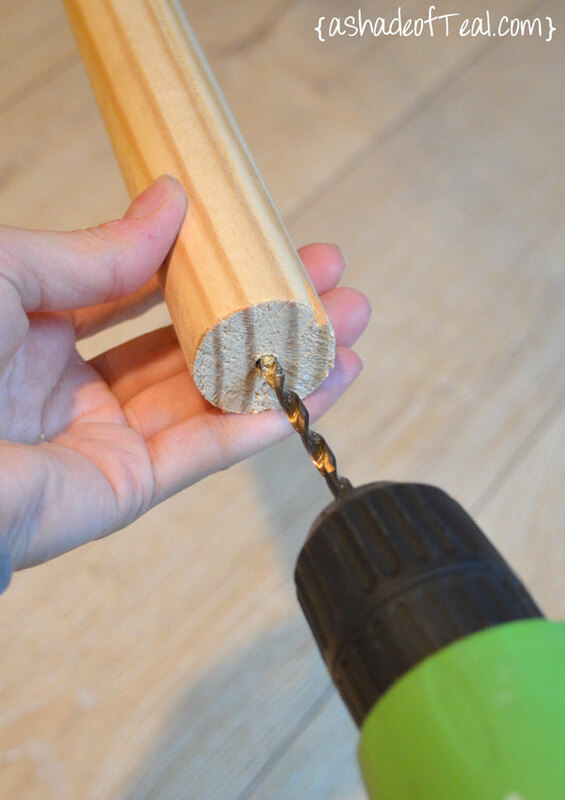 I purchased the 1 1/4″ Round Wooden Pine Dowel at Home Depot for about $1.53 a Foot, they’ll cut it to size right there. I needed about 7 feet which cost around $11. 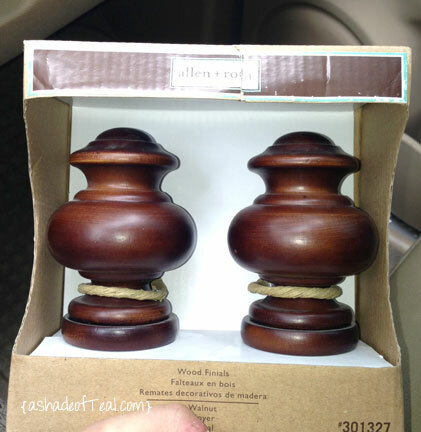 I then found my wooden finials at Lowes, they were only $6. 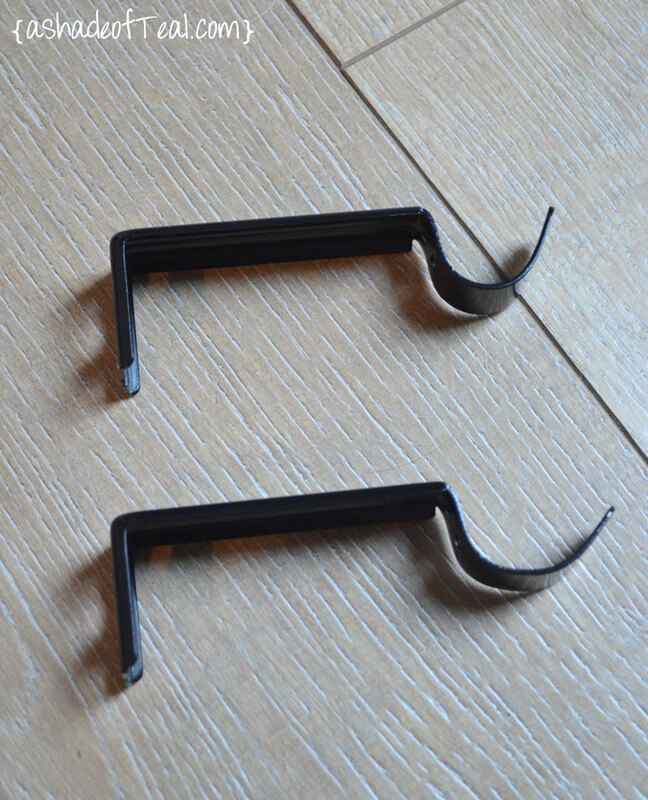 For the metal brackets I ended up using my existing brackets, but you can buy these at any hardware store for a couple bucks. 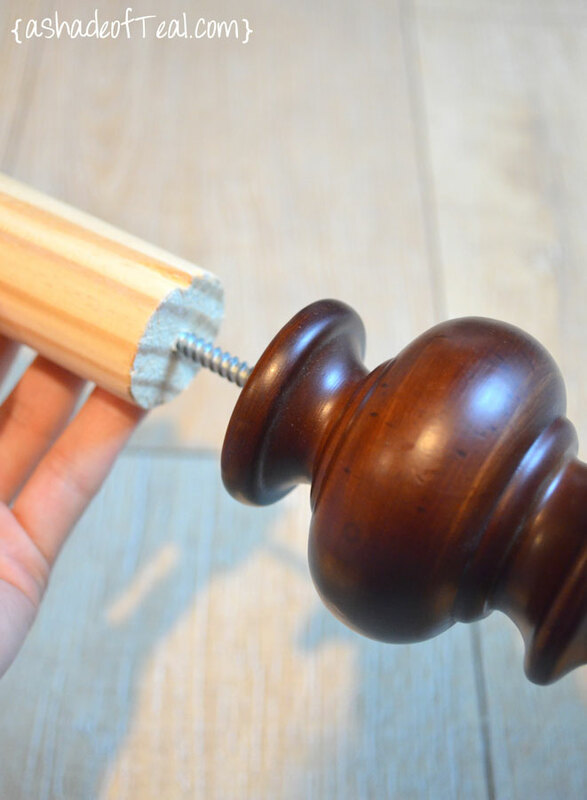 Now for the assembly… I took the dowel and drilled a hole in the center about 1″ deep on both sides. 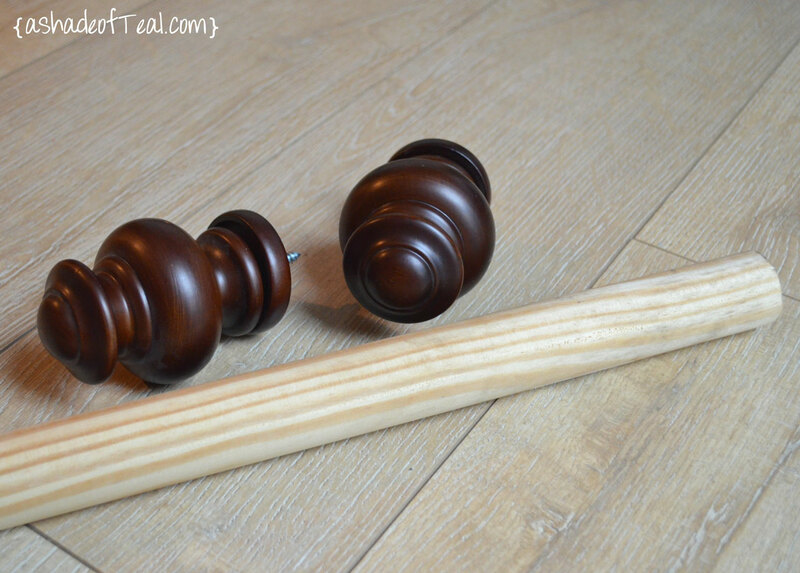 This made it easier to add the wooden finials. I screwed both ends in but not all the way since you’ll need to remove 1 side to add the curtains. 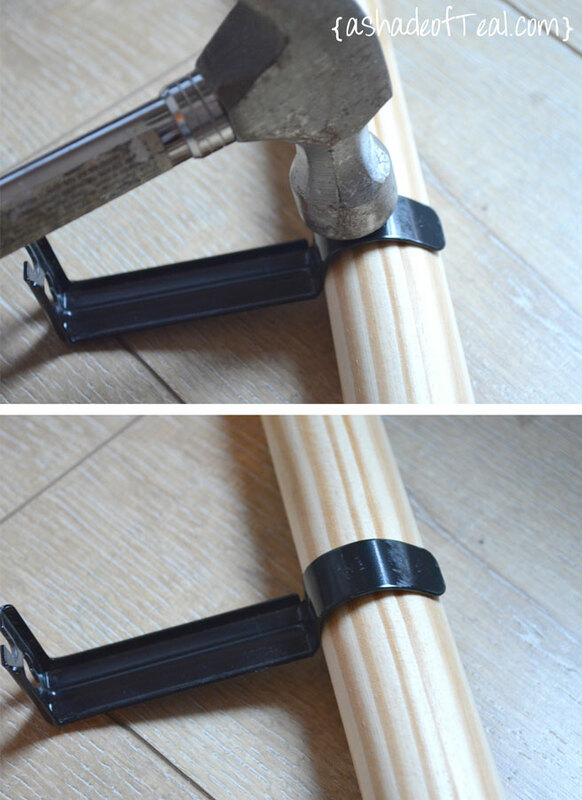 Next I took my existing metal brackets and laid it over the wood dowel as below and used my hammer to make it fit over the dowel. You can see the before and the after I hammered it to fit the dowel. 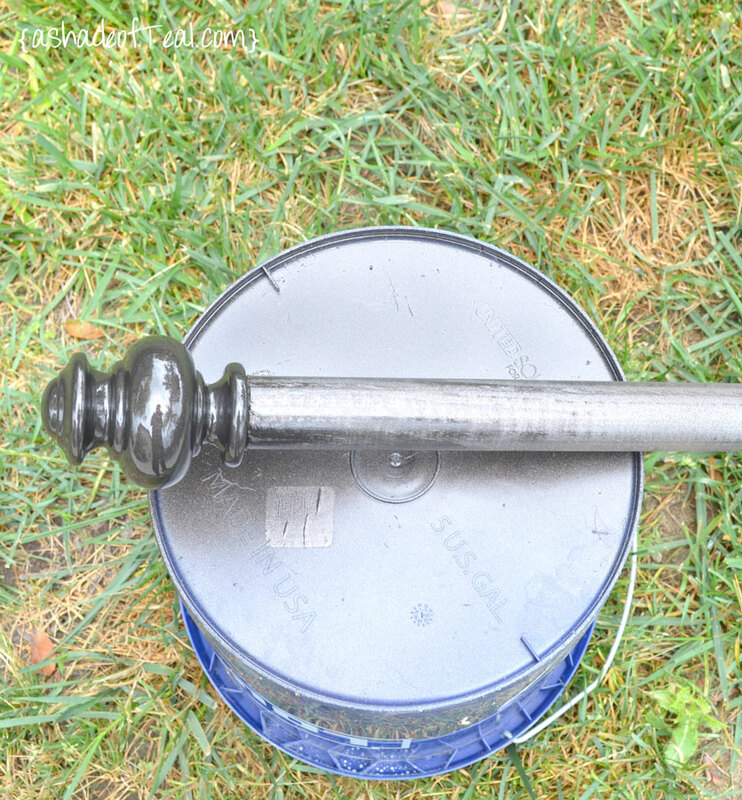 Next I spray painted mt dowel and finals in my favorite bronze spray paint. I added a couple coats to make sure it had good coverage. While that dried I moved to my curtains. 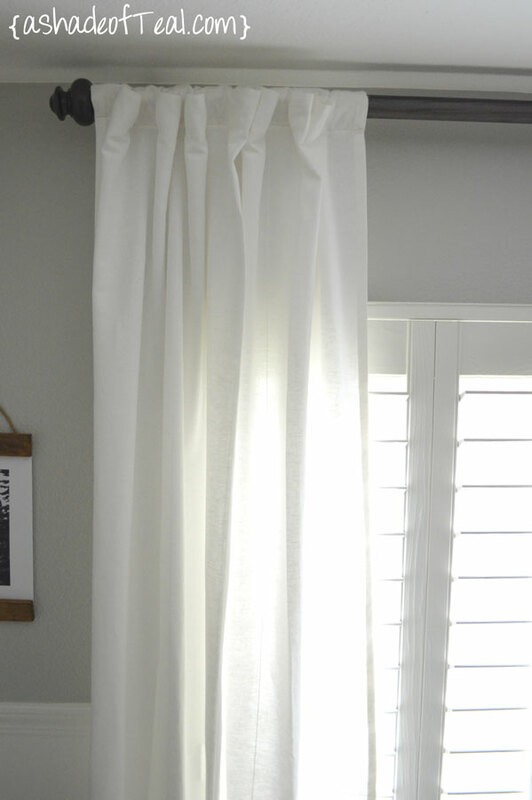 I purchased these white curtains from Ikea. 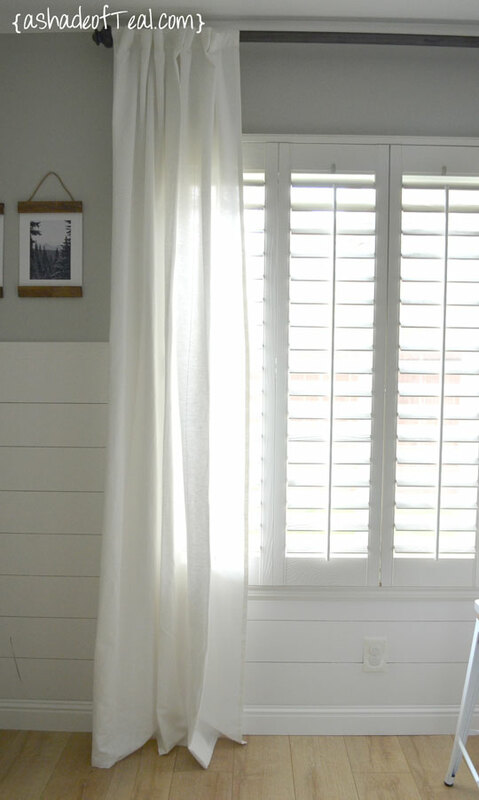 I love these curtains so much; their the perfect white texture that don’t look cheap. However, with that said I’m not a fan of the tabs. So I fixed that! 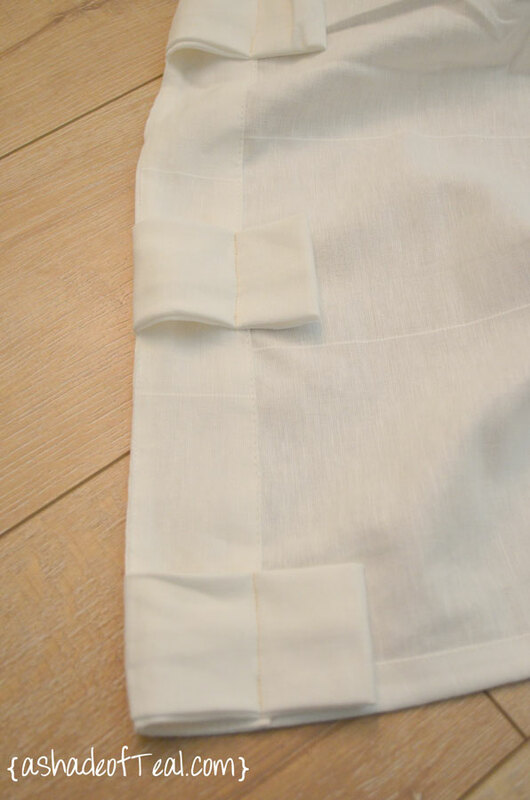 All I did was sew down the tabs at the back, but remember to make sure the dowel will fit. I made this mistake on my first curtain panel and then had to go back and re-do it. Now just take off 1 of the finals and add the curtain. Finally, I added my brackets to the wall and I was good to go. 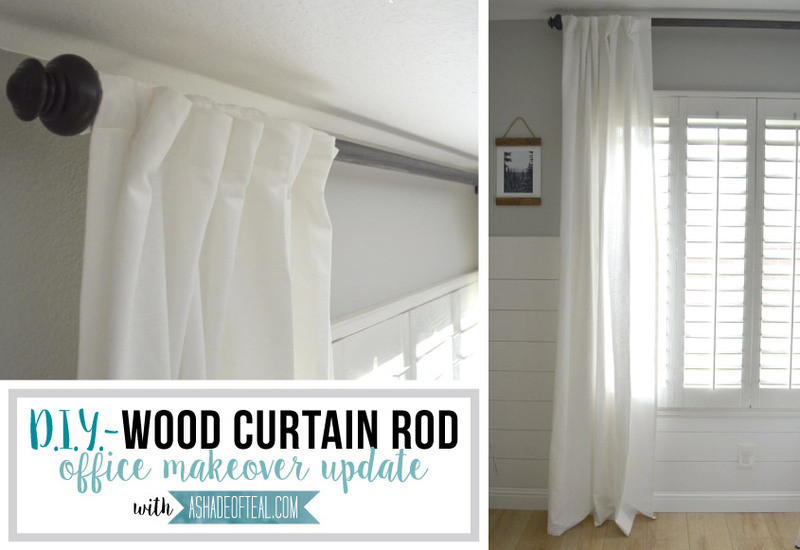 I love these curtains and the oh so easy DIY curtain rod. 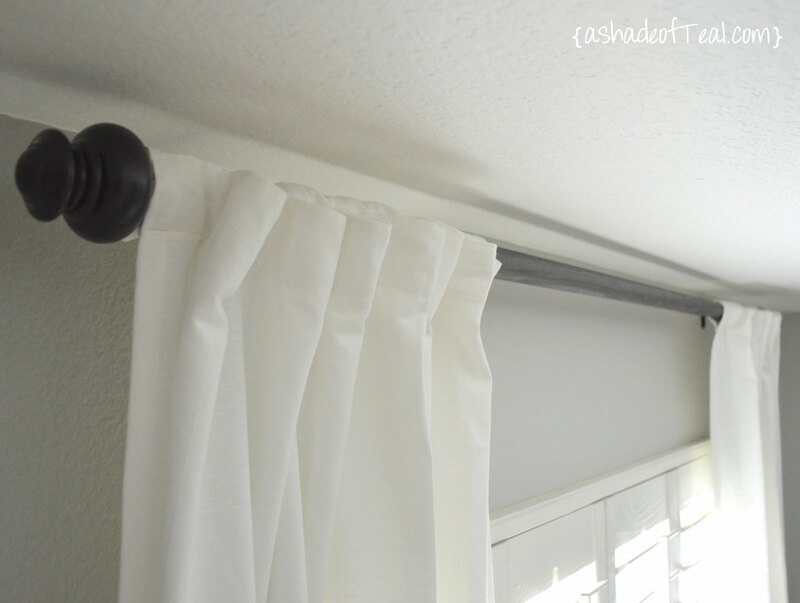 All together I only spent $17 dollars on this custom length curtain rod, not too bad! 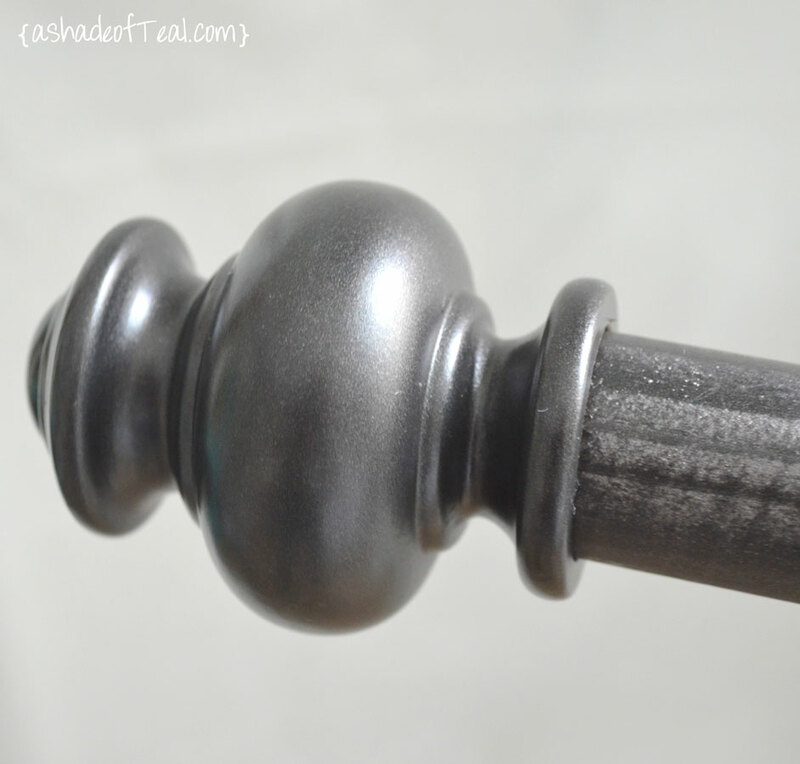 Has anyone else ever tried a custom curtain rod? Bravo!! This turned out great. And I just LOVE your windows! Thanks Brittany! 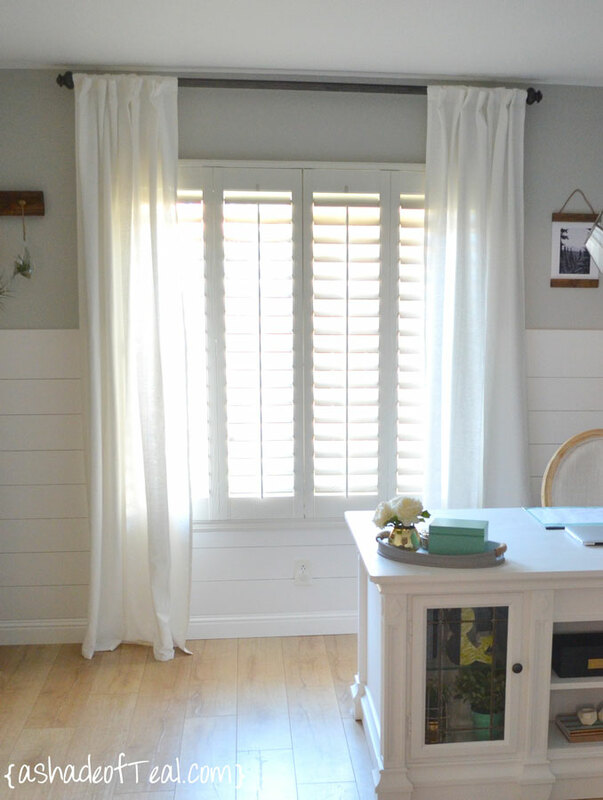 We got really lucky with the previous owner installing shutters in the entire downstairs. These curtains turned out so well! I’ve been having issues too finding well made rods for long windows that won’t break the budget. I’ve turned to electrical conduit (metal pipes). They’re probably $3 for 10 feet of pipe. Wow Katy!! I would never think to do this myself. Home Depot intimidates me, but how awesome to make these exactly how you want them for cheaper than at a store! Cool! Do those warp? I do mean the rod. I am looking to do this with a 9 feet pole. I haven’t had any issues and I’ve been using it for a couple years now.